Is the revised NFL concussion settlement a good deal for players, or a bait-and-switch? Since submitting the initial settlement in January, plaintiffs' lawyers -- and, by silent extension, the NFL's attorneys -- have been adamant that $675 million was enough money. What happened? U.S. District Judge Anita Brody refused to grant preliminary approval of the deal, instead expressing skepticism that a proposed $675 million fund was enough money to cover qualifying former players out of a pool of approximately 20,000 NFL retirees over a 65-year period. Why was Brody dubious? Two reasons. First, basic math suggested that the initial settlement was inadequate. Consider: according to the settlement's reported award structure, individual payouts to injured players will be capped at $3.5 million for Alzheimer's disease, $3 million for dementia and $4 million for chronic traumatic encephalopathy (CTE) deaths, with reductions based on NFL career length and age of neurodegenerative disease diagnoses. (In short: the longer you played and younger you are, the more money you'll get). Now, suppose the awards for each condition average around $2 million. As of last year, 233 retirees had qualified for the NFL's 88 Plan, which awards up to $100,000 a year to cover medical expenses for individuals with neurodegenerative diseases. Meanwhile, another 34 former players had been posthumously diagnosed with CTE. Make a quick calculation -- 267 x $2 million = $534 million -- a huge chunk of the total original proposed amount is gone without accounting for a single new case of neurodegenerative disease among football retirees over the next half-century. Second, and probably worse, NFL and plaintiffs' top attorneys told Brody not to worry -- after all, they had economists, actuaries and medical experts study the problem, and everyone agreed $675 million was adequate. Problem was, they didn't show Brody their math. Nor did they show their calculations to many -- if not most -- of the players' lawyers, some of whom publicly wondered if the calculations even existed. In submitting a revised settlement with a theoretically limitless award fund, the league and the plaintiffs' top lawyers have answered -- or at least sidestepped -- Brody's main complaint. An uncapped settlement sounds like a pretty good deal for retired players, and a major concession by the NFL. Is that the case? Maybe, maybe not. Remember when the NFL supposedly had a salary cap-free season in 2010, only the league punished Washington and Dallas for paying off large chunks of long-term player contracts that season to free up future cap space? Football players should be wary of the term "uncapped." In the case of the revised settlement, the NFL is required to pay $120 million into a brain damage award fund within six months of the deal being finalized. After that, the league will be asked to make additional monthly deposits "as needed" to ensure the fund has a reserve of $10 million through its first 10 years of existence; $5 million through years 11-50; $1 million in years 51-60 and $250,000 through year 65. Over time, the NFL could pay more than $675 million. It could pay less. The league's only binding obligations are the initial $120 million and whatever else it takes to pay off all valid player claims. In a sense, the revised settlement is a lot like big-money NFL player contract announcements: There's guaranteed money in the signing bonus and everything else is up in the air. Does the NFL expect to pay more than $675 million now that the settlement has been revised? Not according to court documents filed with Brody. More than once, the league and the players' top lawyers expressed confidence that their initial amount will be sufficient. Oh, so they finally showed their math? Nope. That remains a mystery. Then why are they so confident? Probably because of the settlement's various caps on individual player compensation. -- Dementia: $1.5 to $3 million. -- Alzheimer's or Parkinson's: $3.5 million. -- Amyotrophic lateral sclerosis (ALS): $5 million. As mentioned above, built-in reductions based on a former player age and career length mean most suffering retirees will receive less than the max. Potentially far less. For example, retirees with fewer than five full seasons of NFL experience will see their awards reduced accordingly, some by as much as 95 percent. The same holds true for retirees over age 45 -- the older you are, the less you'll receive, with players age 80 and above receiving maximum awards between $25,000 and $300,000. Are age and years of NFL experience the only factors that can reduce award amounts? No. The settlement still reduces monetary awards by 75 percent for any former player who has suffered a single non-football related traumatic brain injury or stroke -- even though there's no absolute scientific basis to assume a single stroke or non-football brain injury accounts for three-quarters of a player's afflictions and league doctors spent at least two decades potentially increasing former players' risk of stroke by administering the pain-killing, blood-thinning drug Toradol against Food and Drug Administration warning label guidelines. That doesn't sound very fair. Some former players agree. Last month, a group of seven NFL retirees, including Alan Faneca and Sean Morey, filed an intervention motion in federal court, asking Brody for a seat at the negotiating table and making specific critiques of the proposed deal, including the stroke offset. What else did they object to? -- The proposed deal narrowly defines and freezes in writing the types of neurological diseases and brain damage presentations that qualify for monetary awards, even though scientific and medical understanding of football-induced brain damage is rapidly evolving and much remains unknown. -- While the settlement allows all former players to participate in a Baseline Assessment Program that screens for cognitive deficits and signs of dementia, it only offers monetary awards for specific neurodegenerative diseases. Meanwhile, players who suffer from memory loss, headaches, chronic pain, depression, impulsivity, diminished executive function, speech impairment, attention deficits and other ailments that have been linked to repetitive brain injury but do not rise to the level of Parkinson's or ALS will receive nothing more than counseling and prescription drug coverage, even though their conditions can drastically affect their quality of life and ability to work. -- In order to receive a cash award for CTE under the proposed settlement, a former player diagnosed with the disease must die before the settlement receives preliminary approval by Brody. As I've written before, if you drop dead even a single day later, your family will be out of luck -- no matter how much neurodegeneration and tau protein tangles scientists later find in your autopsied brain. … former players like the Intervenors who are currently managing the cumulative effects of MTBI -- many of which are consistent with the presentation of CTE -- would have received no compensation and would continue bearing their medical costs even if their condition progressed to full-blown CTE. Wow. CTE is the disease that led to the concussion crisis. It's at the heart of League of Denial. Forget unfair. That sounds downright crazy. … suppose you're a former player with cognitive problems. Bad ones. You suspect you have CTE. Maybe you're having suicidal thoughts already. Read the settlement. Check the fine print. Study the payout grid. Turns out the best way to get the biggest possible financial reward for your family is to die young. Potentially by killing yourself. After all, the settlement compensates families of deceased players, including suicide victims, if they are diagnosed with CTE -- and currently, the disease only can be diagnosed via autopsy. … if I commit suicide or have someone else kill me in case I chicken out, my brain will highly likely be found with CTE and my family will be "compensated" about $3 million dollars. Jeff, doesn't this sound like a reasonable resolution? I know it is morbid. I understand that suicide is not an answer to anything, but does the league understand the choices that they are placing in front of us? If I could guarantee my family financial stability for many years to come, where is the question? My children are grown and highly independent, my wife has a job and although I'm sure they would miss me, they would get over it in time and perhaps even recognize the ultimate sacrifice that I would have paid for them. Does the league get this? I recognize that one old, not particularly well known former player dying may not make the news but what if a group collaborated? What if several guys who have considered this in the past came together for the good of the rest and RETIRED ONE LAST TIME? Yikes. Does the revised settlement address any of the above issues? Nope. A qualifying diagnoses of "death with CTE" still requires a "postmortem diagnosis prior to the date" of preliminary settlement approval. Suffering players who don't have dementia or something worse receive nothing. And while the NFL and the plaintiffs' top attorneys agree to discuss possible changes to medical conditions that qualify former players for financial rewards and the means by which those conditions are diagnosed in accordance with "generally accepted advances in medical science," both sides have to agree, and "in no event will modifications be made to the monetary award levels." Oh, and in the event scientists develop things like blood tests or imaging techniques that can catch neurodegenerative diseases early, players won't qualify for awards until their health starts to fail. Even if said awards could help them pay for, you know, potential preventative therapies. Who pays for brain-damaged former players who don't qualify? The rest of us via Medicare, Medicaid and higher private health care insurance premiums. Ugh. Anyone else shut out of the revised deal? Yep. Current NFL players still are not included in the settlement class, presumably because of the legal theory that they're aware of professional football's long-term brain damage risks, even though the league has publicly acknowledged those risks exactly once. The upshot? If you're a league veteran and suspect your brain is a little (or a lot) messed up, you might want to retire before the deal is approved. Otherwise, you'll be on your own if you end up with ALS or dementia. Suppose you're a retired player and you're really, really sick, with one of those worst-case diseases. Will the settlement payouts cover the cost of your medical care? Will they be enough to take care of your family when you can no longer work or when you die? The good news? Settlement payouts aren't affected by personal health insurance. Nor are they reduced if a retired player is also receiving payments from one of the NFL and NFL Players' Association's other disability plans, including the 88 Plan and the neurocognitive benefit that was part of the 2011 collective bargaining agreement. As much as $10 million per case. Those individual caps are starting to make more sense. How else can the NFL potentially save money on the settlement, and keep close to the initial $675 million figure despite the revised deal's uncapped status? Simple. You make it difficult for retired players in need to actually access the money, a process my former colleague and Los Angeles Times writer Nathan Fenno calls "funneling." For example, retired players will have to register for the Baseline Assessment Program within 180 days of a notice being posted on a special settlement website -- otherwise, they'll be deemed ineligible for baseline tests and monetary awards. Similarly, players older than age 43 must take their baseline exams within two years of the program's launch, while younger players must take the exams before their 45th birthday or within 10 years of the start of the program. After 10 years, no exams will be given -- and without an exam, it's nearly impossible to qualify for a financial award. Then there's what the revised settlement calls "additional measures to prevent fraudulent claims." Mostly, this means the NFL can audit and appeal as many award claims as it wants; in the initial version of the settlement, the league was limited to 10 appeals per year. Have ALS? Need your $4 million fast? The NFL can delay your payment and pull you into a paperwork fistfight if it chooses. Which is not to say that it necessarily would. Indeed, it's important to note: none of the amended settlement's tangled morass of deadlines, diagnostic requirements and appeals processes aren't nefarious per se. No one likes fraud. Administrative checks and balances are important and necessary. The NFL should not be expected to hand out cash like the CIA in Iraq. Still, like the proverbial devil, the potential for player abuse is in the details. Much will depend on how the settlement is actually administered, and what kind of doctors and lawyers oversee its execution. Administrators and examining doctors will be jointly selected and overseen by the NFL and player lawyers. In theory, competing interests should be balanced, with everything on the up and up. On the other hand, the league and the players' union oversee the NFL's disability program -- a program so stingily managed and stacked against suffering retirees that Congress held hearings in 2008 to scold and admonish everyone involved. … The [retirement plan's] trustees could have denied his request for more money and kept him on the lowest tier. Instead, they basically called him a crook. In 1996, three years after their chosen doctor wrote a withering report detailing Harrison's maladies, the trustees determined that Harrison was "not now totally and permanently disabled." That makes it sound like Harrison suddenly got healthy, or had been faking it the whole time. Harrison says now that he never received the notices that the trustees sent him. He says communication broke down when his court-appointed attorney left the case. Harrison, who never graduated from college, represented himself in court. If approved, will the structure of the proposed settlement lead to comparable abuses? Hopefully not. Still, it's worth keeping in mind that Hall of Fame center Mike Webster -- Patient Zero of CTE, the central character in League of Denial, the man without whom the concussion lawsuits likely wouldn't exist -- was only granted partial NFL disability benefits in 1999 on the grounds his brain damage became totally and permanently disabling well after his retirement, defying the conclusions of five different doctors, and didn't receive full benefits until his estate won a lawsuit after his 2002 death. Speaking of Webster, will his family receive anything under the revised settlement? If you're a former player who has been denied settlement benefits, can you appeal the decision? Of course. However, it will cost you $1,000. Win, and your money will be refunded; lose, and it goes into the settlement pot. What about the NFL? Do they have to pay to appeal? While we're discussing money, how much are the players' attorneys making on the revised settlement? Same as before: a court-approved sum of up to $112.5 million, due within 60 days of settling. Some former players have expressed incredulity at the amount, about which ESPN's Lester Munson -- himself a lawyer -- has written is "a bit much" for "filing a series of lawsuits and spending 12 days in mediation to settle them." The good news for retirees? None of the proposed $112.5 million will come out of the player fund. That is good news. Besides, while $112.5 million seems like a lot of money, it's probably pretty reasonable when you consider it will be spread among dozens and dozens of lawyers representing more than 4,500 former players across a large class-action suit. Right? But that's it for the lawyers, right? Hold up. Is that some sort of skim? Hard to say, given how vague the wording is. Hopefully, the court control provision means nothing funny is going on. When the settlement was first announced last fall, former NFL player Kevin Mawae called it "hush money" -- a way for the NFL to buy its way out of ever having to publicly disclose what it knew about brain damage in football and when it knew it. Is that still the case? Absolutely. Nothing has changed. The league could have established a massive assistance fund for brain-damaged former players at any time. No lawsuits were necessary. The reason -- the only reason -- the NFL is writing a theoretically blank check is to avoid the discovery process that a continuation of the class-action suit would have brought. A settlement means former league concussion committee chairman Elliot Pellman and his denialist colleagues likely will never be deposed. 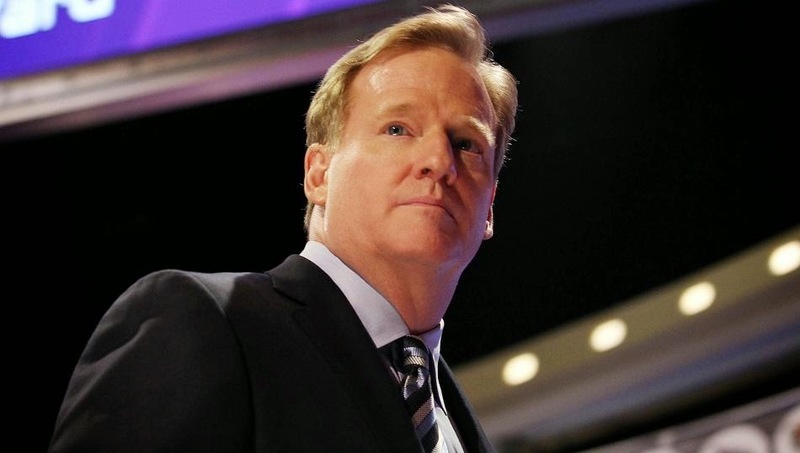 It means Commissioner Roger Goodell's e-mails likely will never become part of the public record. It means the NFL likely can make League of Denial the first and last word on any deception and wrongdoing, and instead fully focus on the all-important task of convincing America that the same organization that refused to acknowledge the meaning of Webster's brain slides ought to be trusted to teach future customers small children how to play tackle football safely. Better still for the league, specific language in the revised settlement may -- may -- allow the league to delay or prevent discovery that could take place in Missouri state court, where a suit filed by retired St. Louis (now Arizona) Cardinals receiver Roy Green against his former team is currently pending. (For more on that case, read here). How about the original settlement math? That would have shown us the NFL's expected incidence and prevalence of at least some forms of football-induced brain damage in retired players, which in turn would have given the public a better understanding of the sport's true risks. Why don't the revised settlement court documents include those numbers and calculations? Good question. According to the documents, court-appointed Special Master Perry Golkin went though said math at Brody's request -- yet unlike initial settlement mediator Layn Phillips, Golkin did not file an affidavit of support for the deal. Instead, the NFL and plaintiffs' top lawyers re-filed Phillips' old affidavit. Which Brody presumably already has read. What's the significance? Possibly nothing. Possibly something, in that the NFL might not want the public to know just how many former players it expects to become impaired. At the very least, it's curious and prompts some questions. If the league is willing to agree to pay potentially limitless claims over the next 65 years, then why were the players' attorneys so quick to agree to a lowball $675 million offer last year? Did they underestimate their own leverage? Is something fishy happening now? Is there one part of the revised settlement that stands out as unequivocally good? Absolutely. For reasons likely only known to NFL executive and legal strategy architect Jeff Pash and his National Collegiate Athletic Association counterpart Donald Remy, the original deal bizarrely included language that shielded the NCAA and amateur football organizations from future lawsuits -- wholly unearned and undeserved legal cover for an organization that already is facing lawsuits for its shameful concussion and brain injury non-policies. Even Brody specifically criticized the language in her initial rejection of the settlement. Thankfully, it now has been removed. All things considered, is the settlement now a done deal? Not necessarily. Given that Brody's previous objection focused on the potential inadequacy of a $675 million fund, uncapping makes it more likely she now will grant preliminary approval. However, the seven intervening players still are agitating for a better deal. Any retiree can opt out. Upon reviewing all of the details, Brody may find other reasons to send the two sides back to the negotiating table. Like a drama entering its third act, the settlement is closer to its denouement, but far from finished.